Should You Replace Your Cabinets or Countertop First? Planning for a kitchen remodel? What is the best way to save money while doing it? Do you remodel piece by piece or go all in at once? More often than not, the most cost-effective way is to go about your remodel piece by piece. So is it going to be new cabinets or a new countertop? Wait, I’m going to throw a curve ball here. Have you considered…cabinet refinishing? No demolition. You don’t need to rip out all your appliances and cabinets. Simply have WoodWorks Refurbishing come in and clean up the doors and even change the look and color of them. You can match the countertop you already have. You might be surprised at how a little bit of new color can completely change the way you look at a countertop you’ve looked at for years. It’s much more affordable! Cabinetry is expensive. Between all new cabinets and a new counter, you could be looking at some red numbers on the balance sheet. 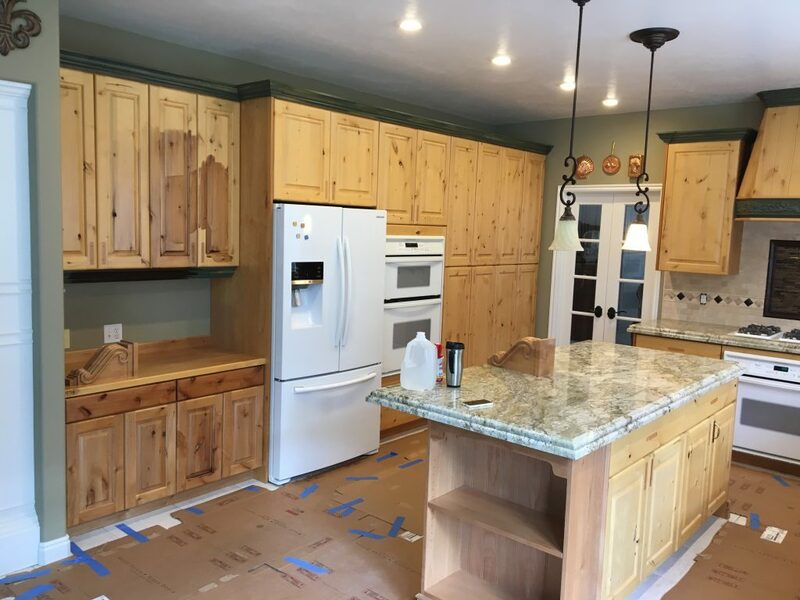 Refinishing the cabinets, on the other hand, is going to be very cost effective and give you beautiful, smooth cabinets from what you already had. So we think it’s a good idea to change up the cabinets you already have. Save some money and call us. Match your cabinets to your current countertops or match them to the new one you’ll get down the line. Either way, you won’t regret it! This entry was posted in Refinishing, WoodWorks. Bookmark the permalink. Should I Paint Or Refinish My Kitchen Cabinets?